After the Supreme Court ended the federal ban on sports betting last year, Pennsylvania did not dawdle in bringing legalized sports betting to the state. Legalized sports betting creates an exciting atmosphere amongst sports fans and professional sports teams in Pennsylvania, which serves to heighten the experience for players, casinos, and football fans. This is particularly true with NFL playoffs already underway. Pennsylvanians are well-known for their enthusiasm over professional sports. They’ve been more amped than ever to kick off the 2019 NFL playoff season, and with sports betting recently legalized in the Commonwealth, sports fans have more reason than ever to tune in. This year’s NFL playoff season marked the first time Pennsylvania football fans were allowed to wager on their favorite NFL sports teams in legal sportsbooks within the state. The commencement of this year’s NFL playoffs made history, as football fans lined up in casino sports books throughout Pennsylvania to place wagers on sports teams. And of course, plenty of Pennsylvania’s casinos are cashing in on the action. SugarHouse Casino sportsbook’s debut was a good example of how legalized sports betting will operate alongside the 2019 NFL playoff season. SugarHouse Casino brought a whole new experience to Pennsylvania football fans. Sugarhouse set up its sportsbook with luxury seating, table-side service, and HD flat screens. Football fans can the luxuries provided by SugarHouse sportsbook while placing wagers on their favorite football teams. This super-luxe experience is sure to attract plenty of new fans to the ever-popular NFL franchise. Pennsylvanians have always been big sports enthusiasts, so it wasn’t surprising when the state launched legal sports betting last November. Since this time, Pennsylvania’s casinos have taken the opportunity to begin implementing their own sportsbooks. This is true for four casinos in particular that are currently accepting sports bets: Hollywood Casino at Penn National Race Course, Rivers Casino, SugarHouse Casino, and – most recently – Parx Casino. And there’s no two ways about it: Pennsylvania’s sports fans are loving it. The first NFL playoff sports wagering event Parx Casino’s temporary sportsbook began accepting wagers right in the nick of time to take advantage of the surge in business coming from the NFL playoffs. Other sports books are expected to follow suit in the coming months, and the landscape of Pennsylvania sports betting has only just begun to take shape. The recreation has already created numerous opportunities for sports teams, fans, and casinos, alike. 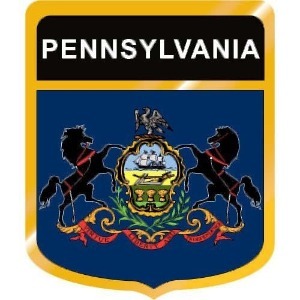 As many other territories are expected to follow Pennsylvania’s lead in the new year, we’re sure to see more jurisdictions legalizing sports wagering and capitalizing on the tax revenue. This entry was posted in News on January 29, 2019 by Kayla Sherrell.